Romance. Scandal. Manners. 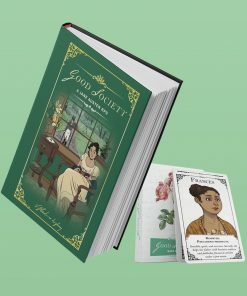 Welcome to Good Society, the Jane Austen Tabletop Roleplaying Game. 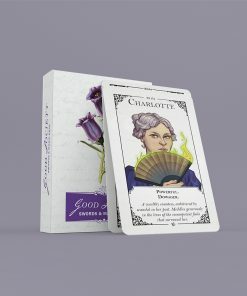 This is the deck of cards for Good Society: A Jane Austen Roleplaying Game. This includes all the Secret Desire, Relationship, and Non-Player Gentry Cards that come with the original game. It does not include the game itself. 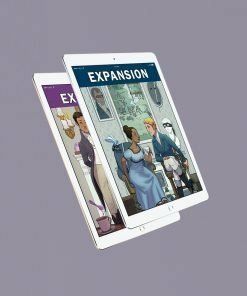 This project is EU friendly. Please make sure to provide any other information necessary for delivery to your country, such as tax number, etc. 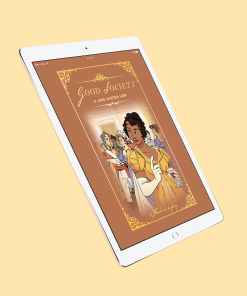 Good Society is a collaborative roleplaying game that seeks to capture the heart, and the countenance, of Jane Austen’s work. It is a game of balls, estates, sly glances, and turns about the garden. At least on the surface. 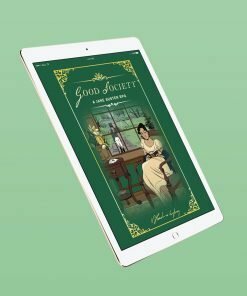 Underneath this, just as in Austen’s own novels, it is a game of social ambition, family obligation and breathtaking, heart-stopping longing. 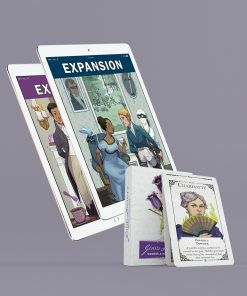 In this game, you play the type of characters that captured your imagination in Austen’s books – from a wealthy heir who falls in love with the aloof new arrival, to a charming socialite bent on ruining the reputation of their rivals. 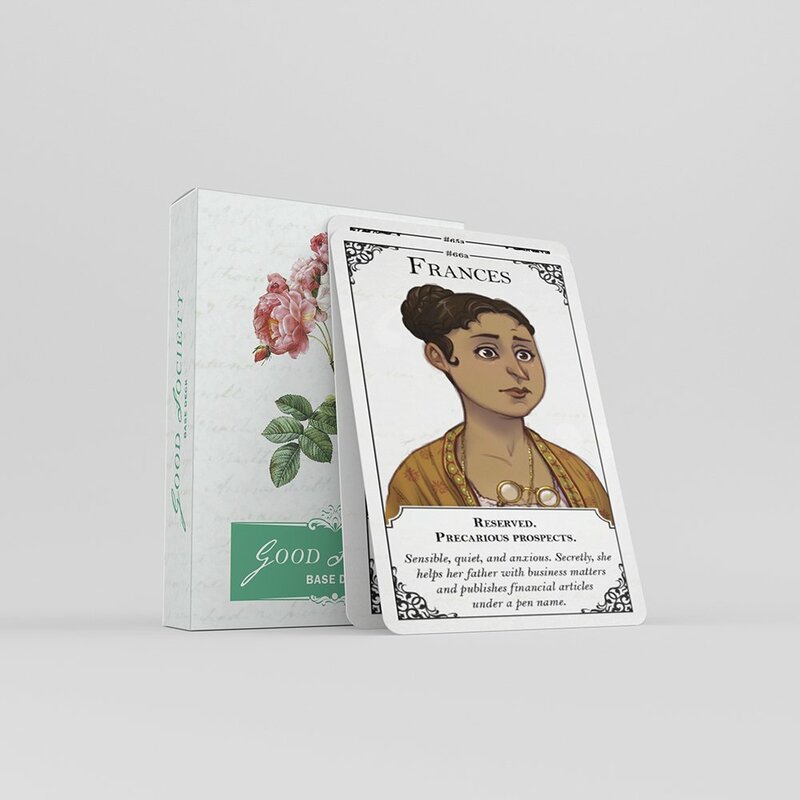 Exploit your advantages, connections, and family influence to achieve your secret desire – all while jealously guarding your good name.